The Clerk’s Office is responsible for maintaining and docketing original records for maintaining and docketing original records for the Court, including legal, financial, and electronic images. In addition, the Clerk’s Office handles all matters concerning juvenile traffic violations, probation fines and fees, and restitution. 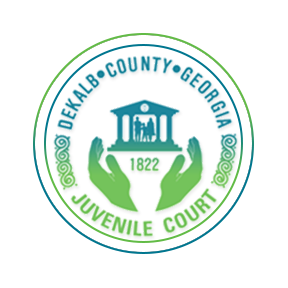 In person – Payments for fines, fees and restitution are accepted at the Juvenile Court Clerk’s Office from Monday-Friday from 8:30am-5:00pm in the form of cash, credit card, money order and cashier’s check. Hours of Operation **With the exception of major U.S. holidays. 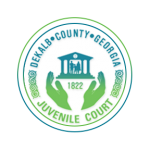 If you have any questions or concerns about building security which are not answered below or if you have an emergency at the DeKalb County Juvenile Court, please contact the number above. Take off all coats, jackets and hats. Remove steel- toed boots (other shoes are okay). Remove all contents from your pockets including cell phones, coins, etc. and place them in the plastic bins provided. Place purses and bags on the conveyer belt. Remove laptops from bags – after passing through security, you will have to turn them on to show that they work. You are not allowed to bring the following items into the Courthouse. If you have any of these items, they will be confiscated. Some items will not be returned to you. Others will be held until you leave the building. Possession of some items could result in immediate arrest.